After New Year's until Memorial Day we're stuck in the annual Cape Cod doldrums - the time until all those seasonal restaurants reopen in the Spring. So where do you dine out during this period? 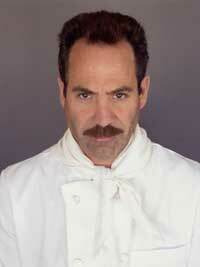 Don't tell us about Chillingsworth, other fair-weather friends or Seinfeld's Soup Nazi on the right. Tell us where you eat out off season - and WHY. Your unedited and unfiltered comments below will help your favorite eatery find new customers at this lowest point in anyone's business year. What kind of food they specialize in be it Italian, Thai, Basic American, Breakfast only, Diner, Haute Cuisine, Ethiopian, or whatever. What are your favorite dish or dishes? Anything else you may tell a friend to encourage them to try it. The restaurant you mention will appreciate the added business, and our appetites will be blessed by your knowledge. Now use our comment form below to start sharing your favorites.